Candace co-founded Uno a Uno with her husband Pierre Etienne in 2015, after having spent a year in Ecuador volunteering in a microfinance organization, building business program curricula for microloan recipients. After visiting many microloan clients in their homes, and living in Ecuador, building relationships with the local people, Candace fell in love with the country of Ecuador and its people, and developed a passion for helping them through education. As the co-founder of Onyx Law Group, which is a boutique estate and family law firm in downtown Vancouver, Canada, Candace sought to build a law firm grounded in integrity and excellence, but to also act as a human face to the legal system for everyday people. She practices exclusively in estate litigation and has appeared at all three levels of court in British Columbia, Canada. Pierre Etienne co-founded Uno a Uno with his wife Candace in 2015, after having spent a year in Ecuador volunteering in a microfinance organization developing tools for risk management and performing an impact study where he learned first-hand the importance of education as a tool for lifting people out of poverty. As an actuary, Pierre Etienne is an expert in financial risk management. He is currently providing expert reports to lawyers in a number of matters necessitating actuarial insight and calculations and assisting other clients with issues related to pensions and benefits. Pierre Etienne is a humanitarian who is committed to supporting the people of Ecuador through Uno a Uno’s many educational initiatives to help their students break the cycle of poverty and realize their potential. Aida is responsible for the administration and management of Fundación Uno a Uno in Ecuador. She was recruited by Pierre Etienne and Candace and was instrumental in getting Uno a Uno started in 2015. 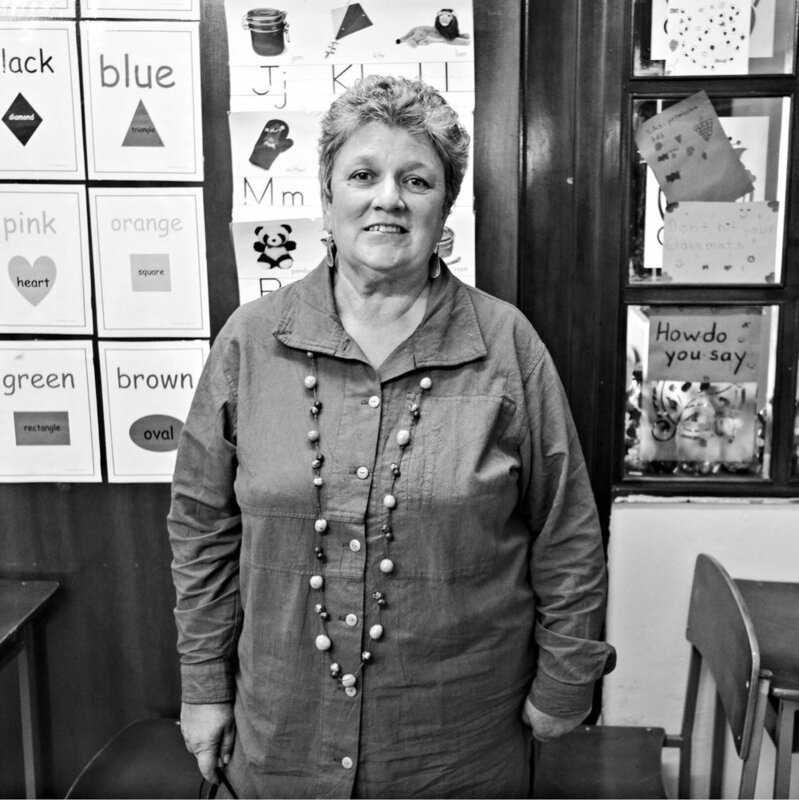 Aida graduated in 1992 with a degree in Language and Literature from the Central University of Ecuador. She first started working as a Spanish teacher in Quito, and later opened her own Spanish school in Otavalo which she has been running for nearly 20 years, meeting students from around the world in the process. She has also been doing social work in indigenous communities around Otavalo during this period. Aida's teaching and business skills and her desire to help her own people have made her the perfect candidate to lead Fundación Uno a Uno in Ecuador. Suzy has been the curriculum consultant and teacher trainer for Uno a Uno's English Program since 2016. Suzy has a long history in faculty development, multicultural education, and teaching English to students around the world. She has taught Spanish and English at a university level; worked in human services, teaching healthcare literacy to migrant women; created medical interpreter training programs in China and the U.S.; acted as academic director for a leading experiential education program in Cuernavaca, Mexico; and volunteered for human rights organizations. Suzy's commitment to empowering people through education combined with her international teaching and humanitarian experiences have made her the perfect fit to lead our English educational initiatives in Ecuador.